We got some JJ going on. Watch out NYC and Chicago, Madison is moving on up. Jasper Johns has a show Jasper Johns: Gray that recently started at the Art Institute of Chicago that has now moved to New York’s Metropolitan Museum of Art. Now, I am not a huge JJ fan, at least not of his most well known targets and flags, but I would have loved to have seen this show, which deals more with colorist ideas, alphabets and maps. I was sorry to have missed the chance, or so I thought! Well, it might not be the same show, but the Madison Museum of Contemporary Art is having a exhibition of his prints. 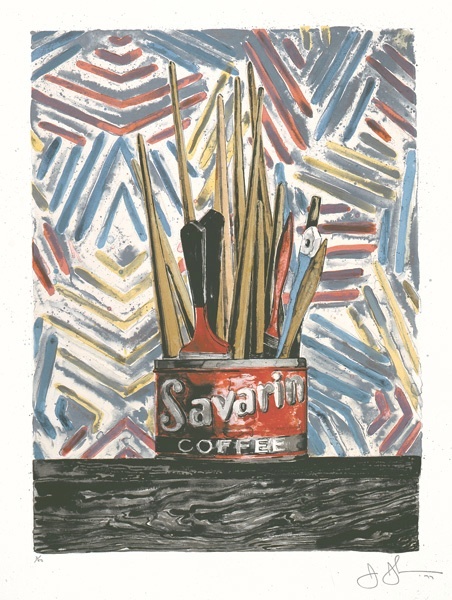 Jasper Johns: The Prints runs through April 13, 2008. I can’t wait to go check it out. Anyone want to join me?